World War II was a major historical period and the central event in the last century. It inspired some fantastic films that helped us understand it better and get a glimpse of that was going on during this awful period of humankind. There are many excellent films, from cinema classics to newer releases, and it was hard to choose the best ones. This list doesn’t come in any specific order. It shows films that focus on that time frame and are true masterpieces. Each one offers something truly unique and brilliant, and all of them are a must-see. 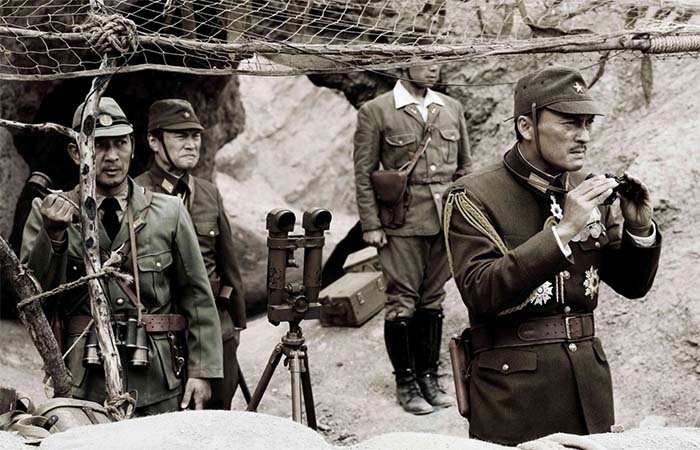 This film is an all-time war classic that focuses on the battle of will between a Japanese Colonel Saito and British Colonel Nicholson. Saito is responsible for running a Japanese prison camp in Burma, where British soldiers arrive. 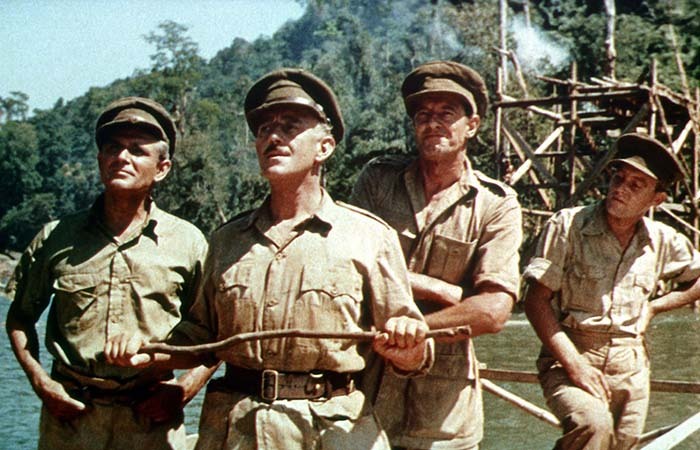 When he tries to delegate to the British soldiers the task of building a Bridge on the River Kwai, an important military value for the Japanese, he is faced with Nicolson’s refusal. The film was based on a novel and it borrowed some of the historical events regarding construction of the Burma Railway in 1942–43. This film has won seven Academy Awards. It is preserved in the United States National Film Registry and marked as “culturally, historically, or aesthetically significant”. This cinema classic is worth your time so if you haven’t seen it, add it to the list. When Nazis capture British POWs in a camp, they didn’t know what trouble they will face. The British Captain Hilts, the “Cooler King”, will lead the great escape from the camp, and gather quite a remarkable team to do it. The Great Escape is based on a book of the same name that was inspired by the 1943 mass escape from Stalag Luft III in Poland. The team dug out tunnels that led them out of the camp. 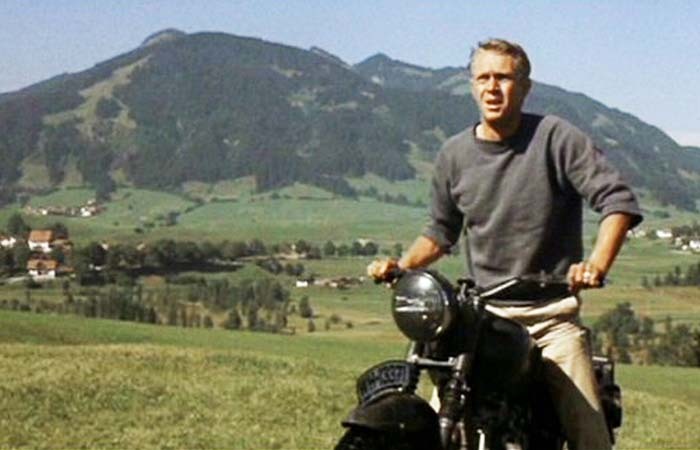 This entertaining drama has many memorable scenes like the stunt sequence where Captain Hilts (Steve McQueen) drives a motorcycle almost to freedom to Switzerland. This cinema classic had a great critical response and was later even developed into a video game. This Spielberg’s masterpiece is a true story of Oscar Schindler, a German businessman who was responsible for saving more than a thousand Jews during the Holocaust. It was based on a novel Schindler’s Ark by Thomas Keneally. The film was shot in black and white and was made to look like a documentary. It was perfectly cast, both Liam Neeson and Ralph Fiennes were a great choice. 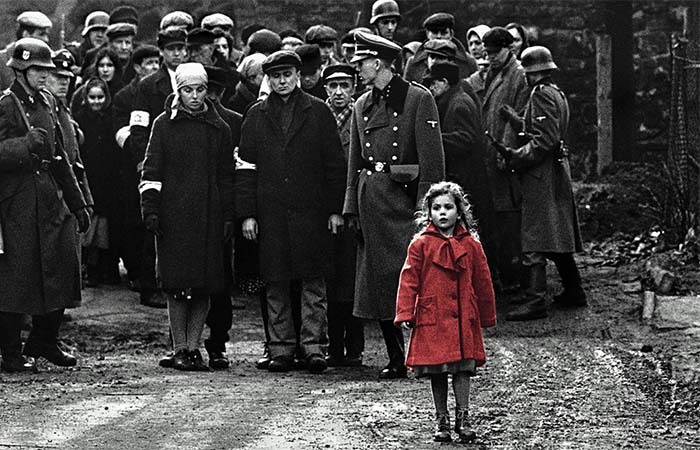 One more thing Spielberg was not wrong doing is ‘The Girl In the Red Coat’ sequence. Even black and white, the red coat is one of the few instances of color in this film. This iconic film is inspirational, essential and a must-see. It received seven Academy Awards and was highly praised. Schindler’s list is a remarkable achievement and one of the best historical dramas about World War II. The Pianist is based on the autobiography of Wladyslaw Szpilman, a Polish composer, about his survival during World War II in Warsaw. The film follows Szpilman as he hides and flees from one place to another, trying to save his life. The music has an important part in this film, and when heard, is both beautiful and devastating. 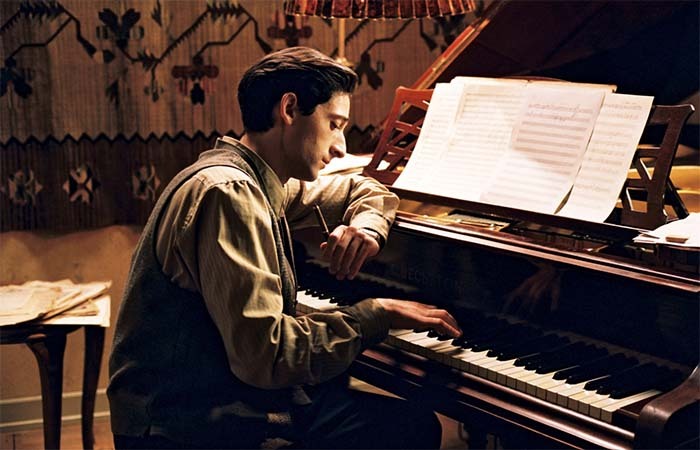 The Pianist is a reminder of how everyone, no matter what class or social status, was strongly affected by this war. This remarkable film is probably the best achievement of Roman Polanski, the director. Adrien Brody, who is playing Wladyslaw Szpilman, exceeded all expectations and gave a stellar performance. The Pianist won three Academy Awards and received many other awards and praise. After disappearing for twenty years from the movie world, Terrence Malick returned with this brilliant achievement. 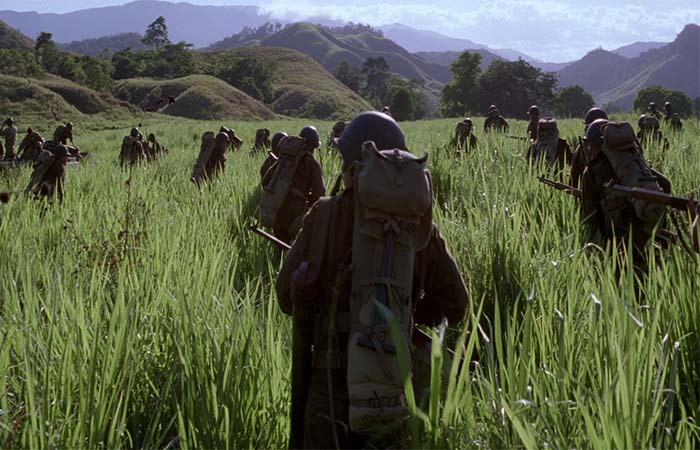 The Thin Red Line is based on a James Jones novel and focuses on the Battle of Mount Austen. The film stars some of the finest actors of contemporary cinema- Adrien Brody, George Clooney, John Cusack, Woody Harrelson, Elias Koteas, Jared Leto, John C. Reilly, John Travolta and many others. The name of the film comes from a quote in the book “they discover the thin red line that divides the sane from the mad… and the living from the dead…” The Thin Red Line is a philosophical film about destruction, men, and nature. One more powerful film from Steven Spielberg. This action war film is especially notable for a realistic portrayal of the D-Day landing on Omaha Beach in its opening 27 minutes. 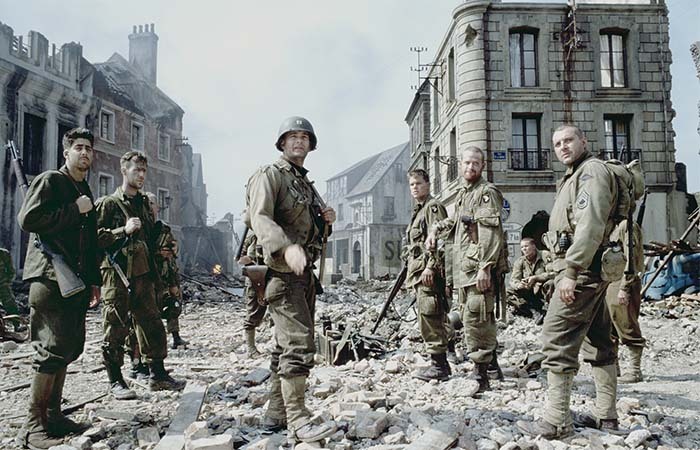 The story follows Tom Hanks, a US Army Ranger captain, and his team of men in searching for a private Ryan, who is missing behind enemy lines. Ryan (Matt Damon) lost three of his brothers in combat and is the last surviving member of his team. This film has many realistic and graphic battle scenes. It is also sentimental and in a way similarly disturbing as Schindler’s List was. It is loosely based on a true story and even though Tom Hanks was hesitant about it in the beginning, it turned out to be a true masterpiece. 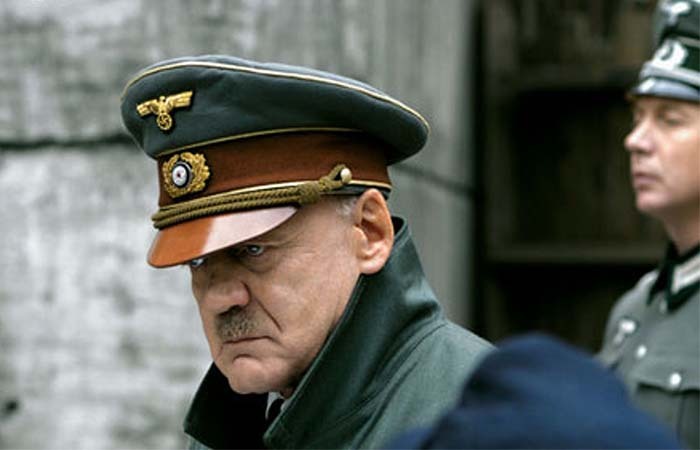 Downfall is a film about the final ten days of Adolf Hitler’s life. The film is almost entirely placed in the claustrophobic bunker beneath Berlin. It focuses on Adolf Hitler and his Nazi army representatives who are operating from the bunker while the Allied forces are getting closer to liberating Berlin. The film shows the chaos slowly rising and influencing both the entire world and a few men inside the bunker. The film was based on a memoir that Hitler’s private secretary wrote after the war, and a few other books mainly written by historians. Bruno Ganz gave a brilliant performance playing Hitler. One scene from the film, when Hitler is furious when finally realizing that the war is lost, has become a famous internet parody. The film however, is an honest and compelling representation of the last days of the Third Reich. Das Boot (The Boat) is a German film and TV series about the crew members in a German submarine. They battle the Allied forces in the Atlantic Ocean in a desire to do what is best for their country. This film is tense, claustrophobic and exciting. It focuses on the battles as much as on the life in between battles. Much of the film was shot in a real submarine used in World War II, so it could create a realistic claustrophobic feeling. The film was actually shot silent and later dubbed in both German and English. It is impressively detailed, authentic and overwhelming. 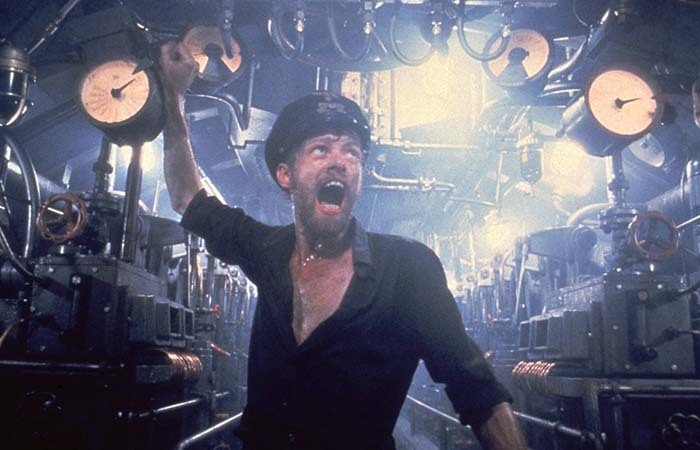 Das Boot is one of the greatest and most expensive German films ever made. The Imitation Game is a true story of Alan Turing, English mathematician and logician. The film focuses on his role in World War II when he worked for the British Intelligence Service and helped crack the German Enigma code. It’s always tough when making a biography film, there is always criticism on the true reality of events vs what was actually portrayed in the film. But all things said Benedict Cumberbatch was at the top of his game and some people argue it was maybe the best role Keira Knightley ever had. This film shows what was happening behind the curtains. It shows a genius who had a significant role in developing a device we can’t live without today- the computer. 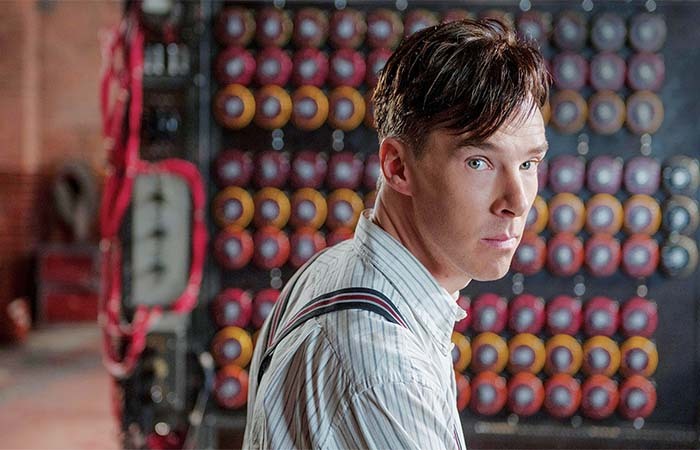 Also, The Imitation Game reveals Turing’s life, personality, and the secret that influenced it. This alternate history film is a remarkable Tarantino portrayal of the retaliation against the Third Reich. 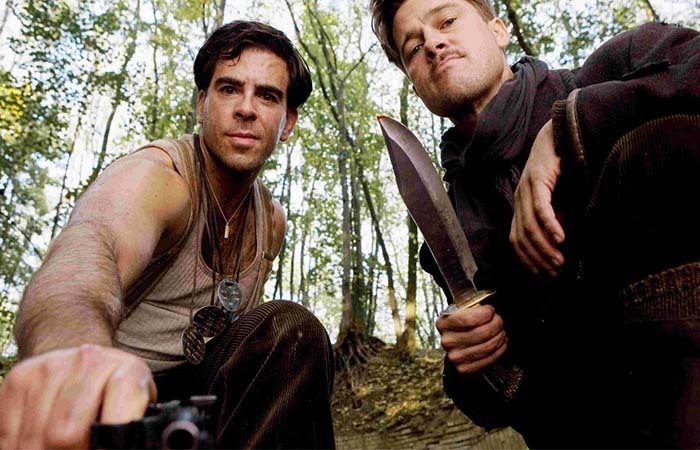 With a typical Tarantino style, the film stays faithful to World War II. The three iconic characters in this film are played by Brad Pitt, Christoph Waltz, and Melanie Laurent. Inglorious Bastards is a film full of hate and violence but also has an entertaining note to it. Tarantino originally wanted to call it Once Upon a Time in Occupied France, and when changed his mind, it was used as the name for Chapter One of the film. Inglorious Bastards is fun to watch and it will leave you wanting more. This film tells the story of American war general George Patton. He had a valuable role in the battlefield and was sometimes considered a controversial character. George C. Scott got the part after Rod Steiger turned down the role. That later turned out to be the biggest mistake in his career but for George Scott, a career-defining role. 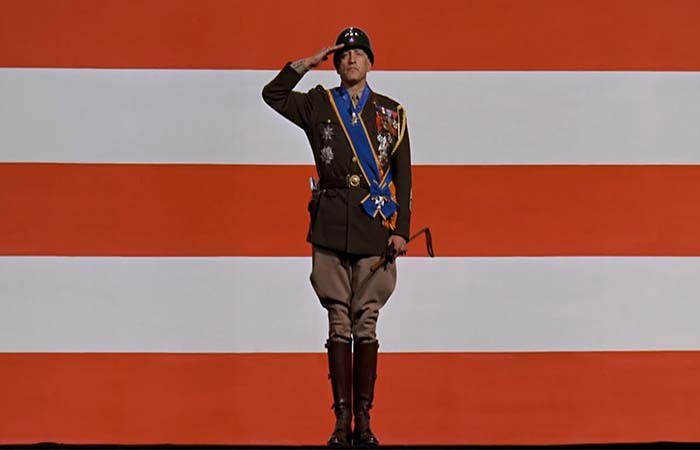 The film opens with Patton speaking in front of a huge American flag, which later became an iconic image. They actually had to tone down his words in this scene and in the entire film, so it wouldn’t get an R rating. The film focuses entirely on Patton, his story and how he saw the war. It won seven Academy Awards. 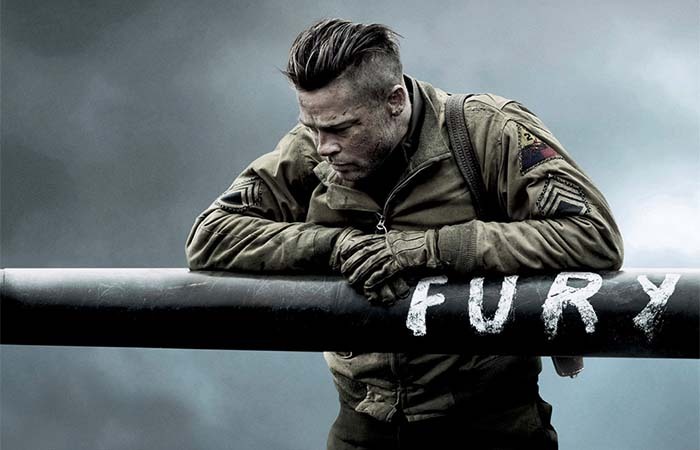 Fury is a story of US Tank Crews near the end of World War II. It offers both action and a good narrative. Brad Pitt once again stars in a war film and is at the top of his game. What is interesting about this film is the ruthless approach of the director, David Ayer. He required that actors go through a hard preparation period where they had to do anything necessary for the role, even drive a real tank, physically spar each other and live in a tank. It’s a fictional story but influenced by a few books and real-time characters. If you are looking for a fearsome and heavy war film, this one is definitely worth your time. This film focuses on a major historical conflict between the Japanese and American troops- the battle for Iwo Jima. Japanese forces held the island for 36 days in the last period of World War II, while US troops were trying to conquer it. This Clint Eastwood film is entirely shot in Japanese. It was inspired by a set of letters that Japanese commander wrote for his family but were never sent. It was shot together with Flags of Our Fathers, and both films were released in a period of a few months. This way viewers could see the story from two different perspectives, both American and Japanese. Letters from Iwo Jima had a much better critical response than Flags of Our Fathers. This World War II tragicomedy is a story of a Jewish bookshop owner and his life during the war. He and his son were imprisoned in a Nazi concentration camp in Italy where he did everything in his power to save his child from the terrors of the camp. 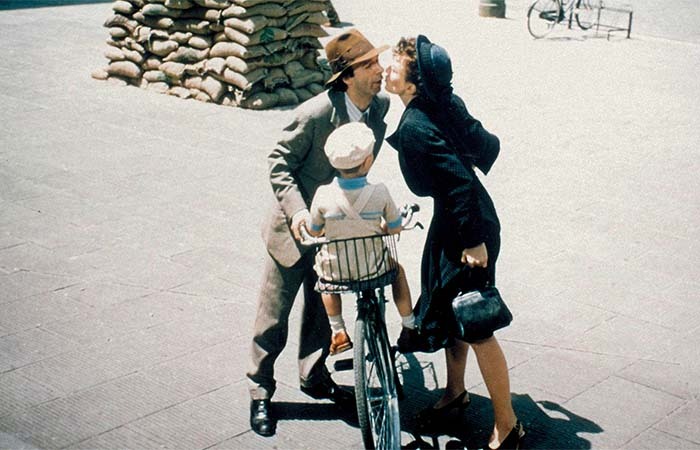 Guido (Roberto Benigni) uses his imagination to create a new world for his son and protect him from all the horrors of the war. Benigni also directed and co-wrote the film. Life is Beautiful is very sentimental but uses humor wherever there is place for such. It won three Academy Awards and was highly praised. 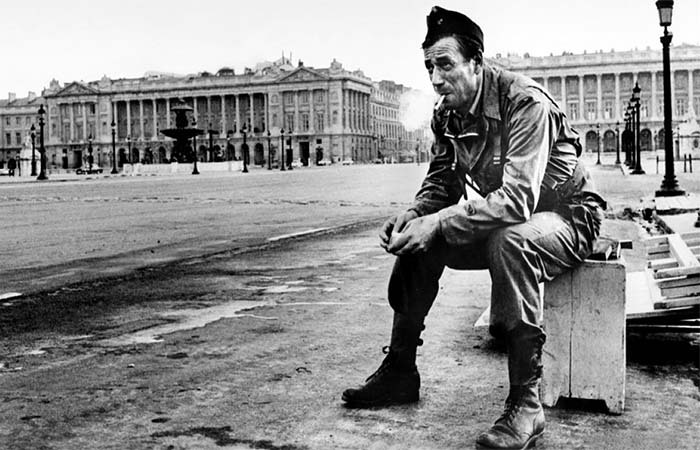 This film focuses on the Paris in the final years of the World War II. It is about the liberation of Paris and the French Resistance. In 1944, Hitler ordered that the City of Light shall be burned rather than it falls into the hands of the Allies. He gave the order to General Dietrich von Choltitz (Gert Fröbe), the military commander of Paris. This film was a true international effort, trying to bond different actors and languages together and pay attention to every detail. It was shot in Paris, on 180 different locations. It was shot black and white, because the French Government wouldn’t allow the Nazi flags to be in its original color, red and black.